The program includes presentations from nine exploration companies on their successful exploration programs in the Territory in the past year, for a diverse range of commodities including gold, lithium, cobalt, uranium, copper and oil and gas. There will be presentations on new findings and data from the Territory Government’s four year, $26 million Resourcing the Territory initiative, as well as from major collaborative programs that the NT Geological Survey is undertaking with Geoscience Australia and CSIRO. Highlights from the program include the latest on promising new base metal discoveries in the Aileron Province, the Angularli uranium project in Arnhem Land and the developing lithium deposits of the Bynoe field. There will be a diverse range of talks on the Territory’s Paleo-Mesoproterozoic basins and their outstanding resource potential. 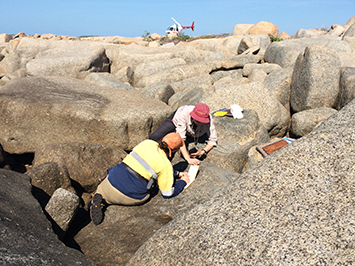 The Northern Territory Geological Survey will also release new geoscience data and information from across the Territory as part of the new Resourcing the Territory initiative. AGES 2019 will take place at the Alice Springs Convention Centre 19-20 March, and marks the 20th consecutive year that AGES has been held. To commemorate the milestone, photographs from the last 20 years of AGES will be projected during the AGES dinner on 19 March. Once again, AGES will be held in conjunction with the Mining Services Expo, which will showcase Territory businesses and their capacity to service the resources sector. The full program and registration information is available now at www.ages.nt.gov.au.